Wipe size 12 x 16 cm for single use. 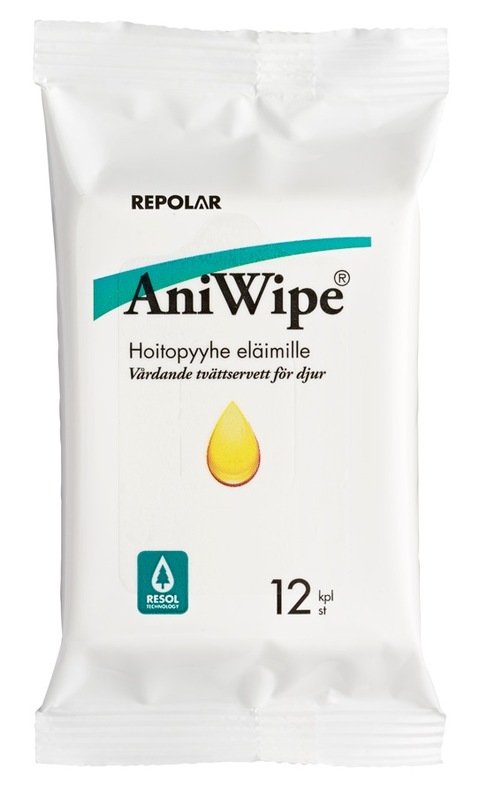 AniWipe® Wet Wipes contain active components from the natural coniferous resin separated by using the Resol® Technology. 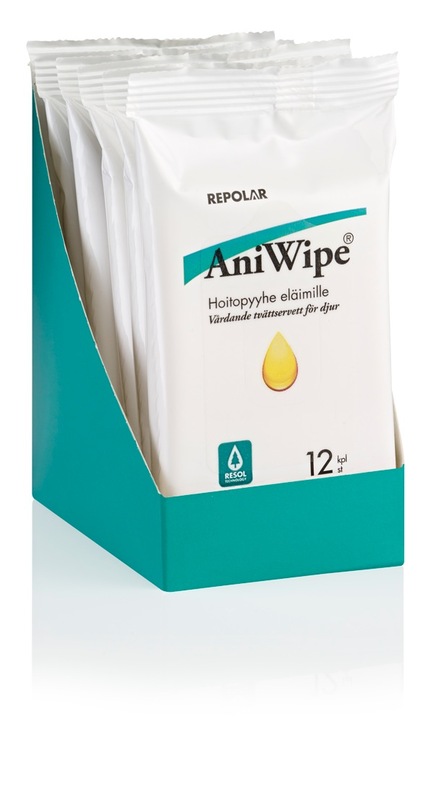 The wipes are manufactured from high quality non-woven, which does not lint or tear. Pull out wipe and close the pack lit. Use the wipe to cleanse the skin, skinfold, fur or hair around the face. Clean sensitive areas around e.g. eyes with care and avoid direct contact with the eye. If needed use multiple wipes to ensure proper cleaning and moisturizing of the skin. Allow the solution from the wipe to dry on the skin to ensure long term effectiveness. The wipe material is durable and does not lint. Discard used wipes. Do not flush.